If you want to get kids interested in eating their vegetables, find veggies that look like jellyfish! We have begun to harvest our scallopini squash. 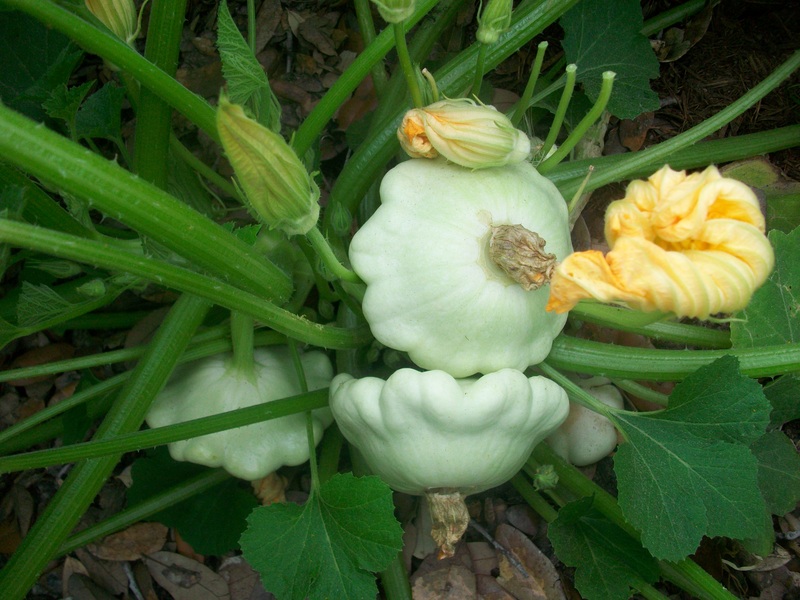 These squash are a cross between zucchini and pattypan and are harvested when they are 3 to 6 inches across. They are very tender with a mild, nutty flavor. The whole vegetable is edible, skin and all, and you can use it in any recipe that calls for squash or zucchini. What’s best, they look like jellyfish! Scallopini are a great source of vitamin A and vitamin C, niacin, thiamine, riboflavin, calcium, potassium and iron. But kids will have too much fun eating them to notice. We deliver our farm fresh food to your door in Rockport (minimum $20 order). Or, look for the Four String Farm booth at the Rockport Farmer’s Market or at Rockport Market Days. Or come out to the farm and pick the jellyfish yourself!